Everybody loves Kraków (right? ), but one complaint we sometimes hear is that it isn’t the most family-friendly tourist city. Pushing a pram down cobbled streets and narrow sidewalks strewn with parked cars is a drag, you can only expect kids to be quiet and respectful in churches, memorial sites and boring history museums for so long, and you can’t expect them to enjoy cellar bars or stylish clubs at all. There must be something else to do in this town, right? Right. It may not be immediately apparent to the travel-weary family here for only a few days, but there is in fact plenty to do with the kids in Kraków, especially when the sun is out. We’ve created this section to help you find exactly those things, and send your kids back to school bragging about what a great vacation they had in Kraków. Below we’ve listed local family-friendly destinations under the categories of Indoors and Outdoors, plus reliable recommendations for where to eat and drink where your kids will be treated as welcome customers, rather than ire-inducing annoyances. Some venues are described in more detail elsewhere, so follow the links. Of course the first step to having a great family vacation abroad is to accept that what you want to do, and what your kids want to do are hardly one and the same. That said, there’s no reason you can’t find some common ground in Kraków’s major attractions. Everyone has Wawel on their list, and though all it takes is one too-hasty purchase at the ticket window to over-do it, you can still have a great time with the kids exploring Kraków’s royal castle. Most of the ticketed exhibits will prove too lengthy and tedious for young attention spans, but you can still say you saw it by strolling around the numerous gardens and courtyards (for free, no less). Kids love the legend of the Wawel Dragon, and Dragon’s Den - touristy as it may be - is a perfect way to exit to the riverbank below where you can take photos of them climbing all over the fire-breathing dragon monument. Sometimes the best thing to do when there are easily-tired kids involved and you want to see as much as possible is to simply sign on for a guided tour. Though you won’t learn much, a horse-drawn carriage ride is irresistible to kids (and wives), and will send you home with some photos of your dashing fam sightseeing in style. By the same token, kids will love travelling up and down the river in one of the many charming cruise boats. As for museums, Kraków is home to scores, most of which have been recently modernised to be more interactive and kid-friendly. 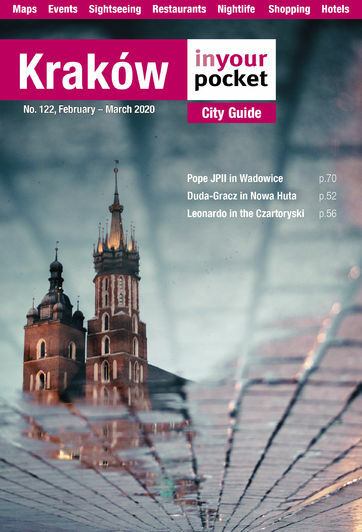 Our 8-year-old expert ranked the City Engineering Museum, Rynek Underground and the Aviation Museum as the most fun, after being reminded that the Zoo and Water Park aren’t actually museums.